“… Franz Boas has remained an enigma, so misunderstood as a person and so often misrepresented as an anthropologist.” William S. Willis, Jr.
How did Franz Boas become the central founder of anthropology and a driving force promoting science in public life in North America? To answer this question, linguistic and cultural barriers must be overcome to grasp the importance of Boas’s personal background and academic achievements as a German Jew. Müller-Wille asserts that the key is in his publications in German on Inuit and the Arctic as related to environmental, geographical, and ethnological questions. These writings have remained largely unknown and neglected in the English-speaking world, yet they represent his emerging scientific interpretations of Inuit culture and the Arctic. They also provide insight into the crucial period of Inuit history 130 years ago at a time of European and North American colonial expansion into their homeland. “What a fascinating and meticulous piece of work! 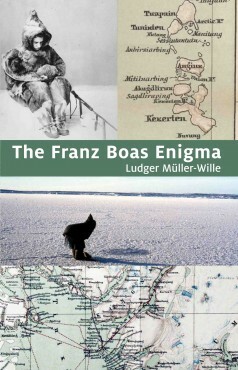 (Müller-Wille has) brought so much together to enrich our understanding of Franz Boas, this brilliant and complicated man.” — Valerie Alia, PhD, Professor Emerita, Leeds Metropolitan University. Ludger Müller-Wille is a Montreal anthropologist and geographer who taught at McGill University for thirty years. 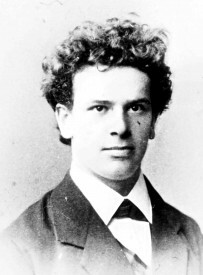 Author and editor of books and articles on Franz Boas, he has conducted extensive research in the Arctic and Subarctic among Sámi and Finns in Finland and Inuit, Dene, and Naskapi in Canada. Ludger Müller-Wille is also author of Inuit and Whalers on Baffin Island through German Eyes, Wilhelm Weike’s Arctic Journal and Letters (1883-84) published by Baraka Books in 2012.